The LeT [Lashkar-e-Taiba] is a Pakistan-based terrorist organisation which has a strong focus on Jammu and Kashmir, where the recent terror attack took place, and is being financed by Saudi Arabia under the direction of the CIA. The recent visit of Saudi Crown Prince Mohammed bin Salman’s (MBS) to Pakistan is indeed alarming, not only to China, but also to India and peripheral countries. Fortunately, the newly elected Pakistani Prime Minister Imran Khan has offered to return one of the downed pilots who survived to initiate a peaceful resolution of this recent escalation of the conflict. This means that the CIA and the US military industrialists will never get something out of it. The conflict between the two sides is a British legacy. Both sides are the latest entries to the gamechanger Shanghai Cooperation Organization (SCO) confronting the Deep State. See also ‘Give proof on Pulwama attack, we will act’: Imran Khan to PM Modi for Khan playing a placating role and Pak not involve in Pulwama attack, says Imran Khan led Council. 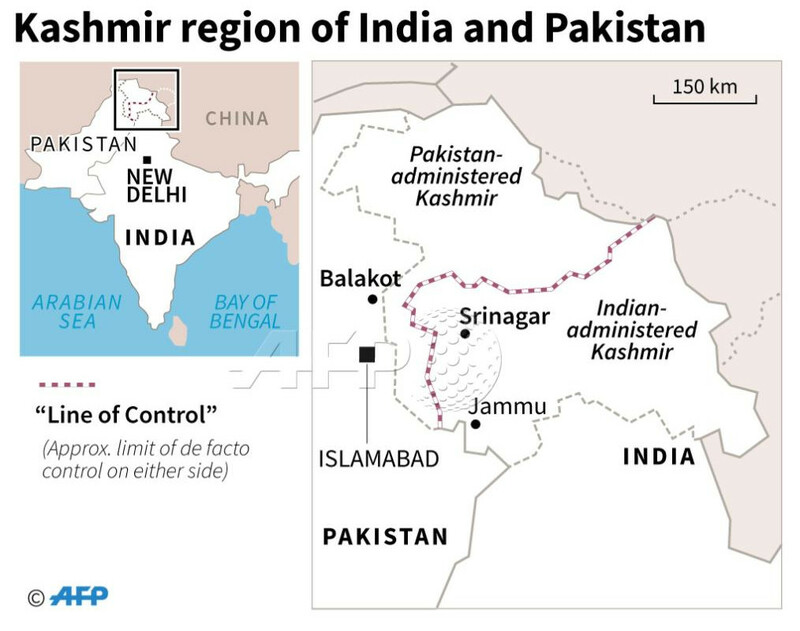 On February 14 a suicide car bomb hit a police convoy in Pulwama in the Indian-controlled part of Kashmir. The suicide bomber was a local man. The Pakistan based terrorist group Jaish-e-Mohammed (JeM) claimed responsibility and uploaded a video of the attacker. General elections in India are due in May and the Hindu-fascist Indian government under Prime Minister Narendra Modi is under pressure. The incident in Kashmir led to violence of Modi followers against Kashmiri people. Pakistan denied any involvement in the incident and called for a joint investigation. After the suicide attack, Modi immediately threatened to retaliate against Pakistan. He did so yesterday. In an elaborate operation Indian fighter jets released stand-off weapons, purchased from Israel, against an alleged JeM training camp near Balakot. India made explicit that it hit a “non-military” target. 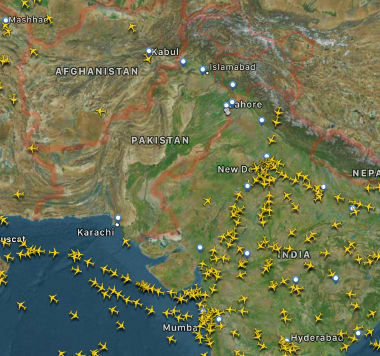 biggerWhile the Indian jets did not enter Pakistan’s airspace, the target was within Pakistan’s undisputed borders. Small scale ground combat between Indian and Pakistani at the line of control in Kashmir is nothing unusual. But the air attack exceeds the limits both sides have so far held to. Pakistan saw the incident as a failure of its deterrence. India has about 140 nuclear weapons while Pakistan has about 100. Pakistan’s conventional military is inferior to India’s. It therefore follows a doctrine of asymmetric escalation which allows for nuclear strikes in response to conventional military attacks. We have no intention of escalation, but are fully prepared to do so if forced into that paradigm. That is why we undertook the action with clear warning and in broad daylight. Two rather antique Indian MIG-21 jets scrambled to chase the Pakistani fighter jets away. They were lured into the Pakistan controlled air space and both were shot down. 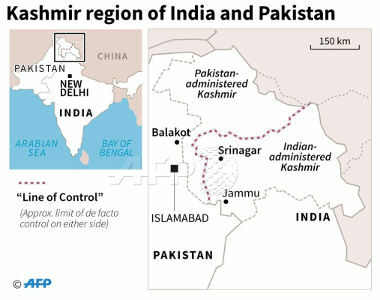 Pakistan published pictures of one of the downed jets and claimed that the other one fell into an Indian-controlled area. An Indian pilot ejected from his plane and was captured by Pakistani troops who had trouble (vid) keeping the locals from lynching him. The captured pilot was blindfolded and interrogated (vid). He identified as Wing Commander Abhi Nandan, Service No: 27981, and did not respond to further questions. His father is said to be a retired Air Marshal of the Indian air force. The pilot now seems to be fine (vid). He thanked the Pakistani military for rescuing him from the mob. 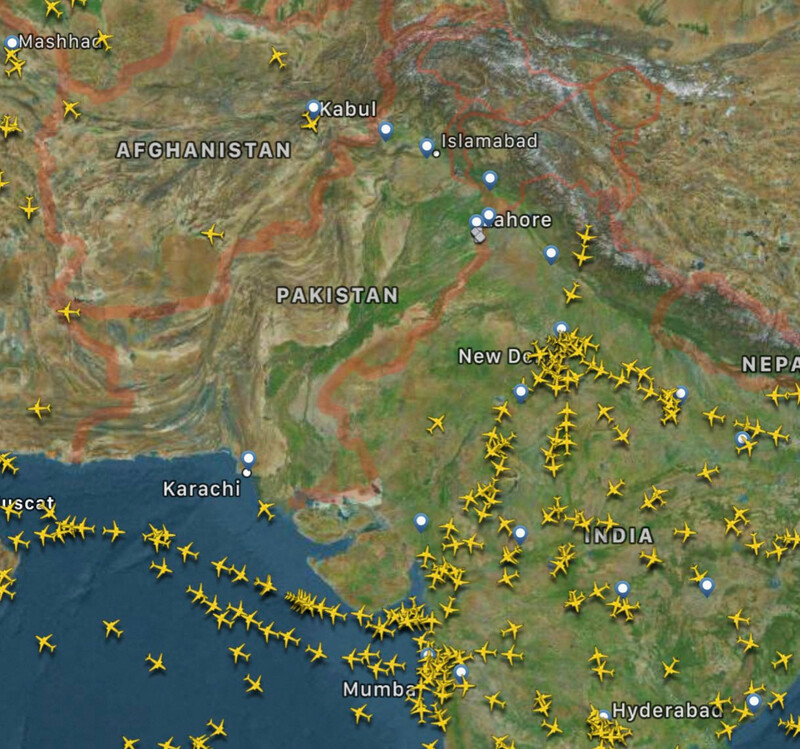 Air traffic over Pakistan and west India was shut down. “The sole purpose of our action [today] was to convey that if you can come into our country, we can do the same. That was the only purpose of what we did,” he said, referring to the engagement of non-military targets across the LoC. “It is important where we go from here. From here, it is imperative that we use our heads and act with wisdom,” he continued.”All wars are miscalculated, and no one knows where they lead to. World War I was supposed to end in weeks, it took six years. Similarly, the US never expected the war on terrorism to last 17 years. “I ask India: with the weapons you have and the weapons we have, can we really afford such a miscalculation? If this escalates, things will no longer be in my control or in Modi’s,” the prime minister continued. “I once again invite you: we are ready. We understand the grief India has suffered in Pulwama and are ready for any sort of dialogue on terrorism. I reiterate that better sense should prevail. “Let’s sit together and settle this with talks,” the prime minister concluded. China, Russia and the United States have urged both sides to stand down and to de-escalate the situation. Meanwhile India falsely claimed that it shot down a Pakistani F-16 jet. It will be up to Modi to take the next step. The captured pilot will complicate the issue for the Indian government. It must find a way to get him released. In short: The previous government signed a contract with France’s Dassault to buy 126 Rafale jets for $10.6 billion. Thirty percent of the price would flow back from Dassault to the Indian state owned aviation manufacturer HAL, which would assemble most of the planes. Modi flew to Paris and changed the deal without the knowledge of his cabinet and the country’s military. India will get only 36 Rafales but pay $8.7 billion for them. Thirty percent of the money would flow back to a private Indian company belonging to the largely bankrupt, privately held Reliance Group for unrelated projects and without any know-how transfer. How much Reliance, owned by the once very rich Ambani family, would hand over to Modi and his party is yet unknown. There are calls for Modi to step down which he is unlikely to do. The issue will escalate. Not responding to today’s attack will make Modi look weak and may well cost him his reelection. Responding with a new attack on Pakistan will gravely endanger both countries.